Now that 'global warming' is dead, what's the next eco-scare? So global warming is dead, nailed into its coffin one devastating disclosure, defection and re-evaluation at a time. Which means that pretty soon we’re going to need another apocalyptic scare to take its place. It also turns out that the extent of Arctic sea ice in March was around the recorded average, according to the National Snow and Ice Data Center. The difference between the two stories has little to do with science: There were plenty of reasons back in October to suspect that the Arctic ice panic—based on data that only goes back to 1979—was as implausible as the now debunked claim about disappearing Himalayan glaciers. But thanks to Climategate and the Copenhagen fiasco, the media are now picking up the kinds of stories they previously thought it easier and wiser to ignore. This is happening internationally. In France, a book titled “L’imposture climatique” is a runaway bestseller: Its author, Claude Allègre, is one of the country’s most acclaimed scientists and a former minister of education in a Socialist government. In Britain, environmentalist patron saint James Lovelock now tells the BBC he suspects climate scientists have “[fudged] the data” and that if the planet is going to be saved, “it will save itself, as it always has done.” In Germany, the leftish Der Spiegel devotes 15 pages to a deliciously detailed account of “scientists who want to be politicians,” the “curious inconsistencies” in the temperature record, the “sloppy work” of the U.N.’s climate-change panel and sundry other sins of modern climatology. As for the United States, Gallup reports that global warming now ranks sixth on the list of Americans’ top 10 environmental concerns. My wager is that within a few years “climate change” will exercise global nerves about as much as overpopulation, toxic tampons, nuclear winters, ozone holes, killer bees, low sperm counts, genetically modified foods and mad cows do today. Something is going to have to take its place. The world is now several decades into the era of environmental panic. The subject of the panic changes every few years, but the basic ingredients tend to remain fairly constant. A trend, a hypothesis, an invention or a discovery disturbs the sense of global equilibrium. Often the agent of distress is undetectable to the senses, like a malign spirit. A villain—invariably corporate and right-wing—is identified. Then money begins to flow toward grant-seeking institutions and bureaucracies, which have an interest in raising the level of alarm. Environmentalists counsel their version of virtue, typically some quasi-totalitarian demands on the pattern of human behavior. Politicians assemble expert panels and propose sweeping and expensive legislation. Eventually, the problem vanishes. Few people stop to consider that perhaps it wasn’t such a crisis in the first place. This is what’s called eschatology—a belief, or psychology, that we are approaching the End Time. Religions have always found a way to take account of those beliefs, but today’s secular panics are unmoored by spiritual consolations or valid moral injunctions. Instead, we have the modern-day equivalent of the old Catholic indulgence in the form of carbon credits. 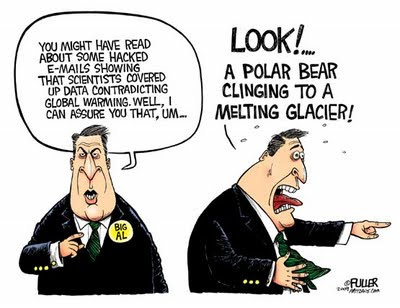 It’s how Al Gore justifies his utility bills. Given the inescapability of weather, it’s no wonder global warming gripped the public mind as long as it did. And there’s always some extreme-weather event happening somewhere to be offered as further evidence of impending catastrophe. But even weather gets boring, and so do the people who natter about it incessantly. What this decade requires is a new and better panic. Herewith, then, I propose a readers’ contest to invent the next panic. It must involve something ubiquitous, invisible to the naked eye, and preferably mass-produced. And the solution must require taxes, regulation, and other changes to civilization as we know it. The winner gets a beer and a burger, on me, at the 47th street Pig N’ Whistle in New York City. (Nachos for vegetarians.) Happy panicking! 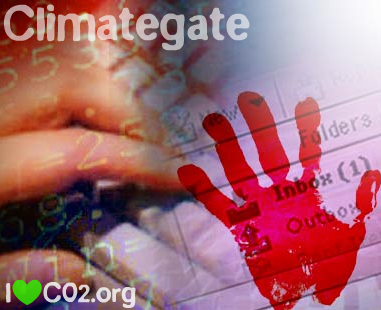 Posted on April 12, 2010 January 20, 2018 Tags Climategate, NewsLeave a comment on Now that 'global warming' is dead, what's the next eco-scare? Oops! There go another two bricks, tumbling out of the IPCC wall of deceit on man-made global warming – there is not a lot left now; even the Berlin Wall (to which the AGW construct is ideologically allied) has survived better. Unhappily for Al, Phil, Michael, George and the rest of the scare-mongers, these two discredited components are among the most totemic in the AGW religion. Firstly, a new study, funded by Nasa (which may be feeling the need to rehabilitate itself post-Climategate) has revealed that the ridiculous claim in the notorious IPCC 2007 report that up to 40 per cent of the Amazon rainforest could be drastically affected by even a small reduction in rainfall caused by climate change, so that the trees would be replaced by tropical grassland, is utter nonsense. That assertion has already been exposed as derived from a single report by the environmentalist lobby group WWF. Now Dr Jose Marengo, a climate scientist with the Brazilian National Institute for Space Research and himself a member of the IPCC, says: “The way the WWF report calculated this 40 per cent was totally wrong, while (the new) calculations are by far more reliable and correct.” These calculations were done by researchers at Boston University and were published in the scientific journal Geophysical Research Letters. They used satellite data to study the drought of 2005, when rainfall fell to the lowest in living memory, and found that the rainforest suffered no significant effects. So, the rainforest scare, like the Himalayan glaciers panic, is garbage. A further encouraging feature of this development is that genuine scientists are increasingly becoming emboldened to challenge the IPCC’s junk science: the Academy is beginning to reassert its integrity. AGW without withered rainforests is Hamlet without the prince. It was one of those emotive claims much invoked by priggish children in the voice-overs of nanny-state “green” commercials, lecturing their elders on the stewardship of the planet. An even bigger tear-jerker was the plight of polar bears, bolstered by carefully cropped photographs of lonely bears stranded on fast-melting icebergs, doomed to extinction. That is the second brick that has fallen out of the IPCC wall. The official legend is that polar bears are threatened with extinction by global warming. The IUCN Polar Bear Specialist Group, which has bought into global warming in a big way, has claimed that, of the 19 sub-populations of polar bears (13 of them in Canada, home to 60 per cent of polar bears), eight are declining, three are stable, one is increasing and there is insufficient data on the remaining seven. Of the eight allegedly declining populations, two of them, including Baffin Bay, are non-contentious: sceptics concede that the two sub-populations, representing 16.4 per cent of the bear population, are declining – but in both regions the temperatures have actually fallen, so warming is an irrelevant issue. H Sterling Burnett, senior fellow at the National Center for Policy Analysis, has pointed out that in two regions where the population is growing – the Bering Strait and the Chukchi Sea – air temperatures have risen. So polar bears appear to thrive on warming – as scientists claim they did during the Mediaeval Warm Period 1,000 years ago and the Holocene Climate Optimum 5,000-9,000 years ago. Warmists contest the Chukchi Sea claim, insisting the population there is declining, though they concede illegal hunting by Russians is a factor. Closer reading of their literature, however, reveals some interesting semantics. For example, the Southern Beaufort Sea is listed as an area of decline, on the basis of a fall in cub survival rates and a reduction in the weight and skull size of adult males, which was also observed elsewhere, prior to population decline. So this is a prediction rather than an accomplished fact – just like global warming itself. The bottom line is the actual statistics, conceded even by warmists: since 1970 the world’s polar bear population has “declined” from 5,000 to 25,000. Some of us would term that a quintupling, but obviously we do not share the same mathematical skills as those who predicted the imminent loss of the Himalayan glaciers. The IPCC and the whole scam it promotes is now irreversibly on the slide. If you have no devastated rainforests and those pesky polar bears keep on doing what polar bears do on cold Arctic nights, you have lost the schoolchildren – and they were almost the last supporters of man-made global warming. Scientific scandals and record snowfalls have begun to melt away the congressional appetite for more global-warming regulations. On Sunday, to take the latest example, a major scientific journal admitted that “oversights” compelled the retraction of its conclusion that sea levels were rising as a result of increased worldwide temperatures. Reports of this sort make it increasingly difficult for members of Congress to enter iced-over districts to ask their constituents to make economic sacrifices in an attempt to appease Mother Earth into favoring us with colder weather. This does not mean, however, that the left has given up on global warming as a means of exerting more government control over the economy. To avoid a potentially messy vote, President Obama’s Environmental Protection Agency has turned to the administrative rule-making process to impose climate-control regulations. In December, the agency made an “endangerment finding” that declared that six gases – including the carbon dioxide you are exhaling as you read this – are putting the planet’s well-being in peril. The first major rule based on this finding will be finalized next month. President George W. Bush’s EPA administrator, Stephen L. Johnson, warned that such a finding would result in a major government power grab. “[T]he potential regulation of greenhouse gases under any portion of the Clean Air Act could result in an unprecedented expansion of EPA authority that would have a profound effect on virtually every sector of the economy and touch every household in the land,” he explained. Fortunately, Mr. Obama’s team might not get away with it. So far, 40 senators have signed on to an effort by Sen. Lisa A. Murkowski, Alaska Republican, to nullify the EPA endangerment finding. Three Democrats have been willing to co-sponsor the legislation, but Senate sources suggest a number of others may be willing to vote for the bill when it comes to the floor. Mrs. Murkowski, who takes a moderate stand on the issue, is key to lining up the bipartisan support required for passage. In the past, the Alaska senator has embraced government efforts to reduce carbon-dioxide emissions, including a limited form of cap-and-trade. Her resolution is evidence that both sides of the global-warming issue can agree that such a fundamental public-policy question should not be decided by unelected bureaucrats. Both sides also should be troubled by the EPA’s twisting of the Clean Air Act, which originally was designed to cut down on actual pollutants, into regulating so-called greenhouse gases. Instead of preventing smokestacks from belching noxious fumes and toxic chemicals harmful to the health of human beings, the agency has made its new enemy No. 1 a cow chewing grass in a field. Citing U.N. Intergovernmental Panel on Climate Change (IPCC) reports, the EPA declared “enteric fermentation” – a fancy phrase to refer to a cow’s natural emissions in the field – to be the primary source of methane, which is 20 times more powerful than carbon dioxide in planetary warming. The EPA placed what it called a “primary reliance” on reports like those of the IPCC instead of conducting independent research to make its finding. Given the retractions and revelations of faulty science surrounding the global-warming religion, especially at the IPCC, it’s time to take the issue out of the EPA’s hands so Congress can address it in the open. The Senate should pass Mrs. Murkowski’s disapproval resolution when it comes for an expected vote next month. ‘Because the greenhouse effect is temporary rather than permanent, predictions of significant global warming in the 21st century by IPCC arenot supported by the data’ More info here. The utterly baseless case for “global warming” is melting a lot faster than the glaciers in India’s Himalayas which, by the way, are not melting. It is time for the Nobel Committee to rescind the Peace Prize given to Al Gore and the United Nations Intergovernmental Panel on Climate Change (IPCC). 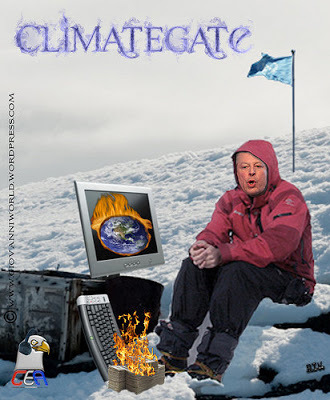 It is time for the Academy of Motion Picture Arts and Sciences committee to take back Al Gore’s Oscar for “An Inconvenient Truth”, an alleged documentary that became mandatory viewing for students in the U.S. and around the world. Purporting to “prove” that the Earth was rapidly warming due to the rise in “greenhouse gases”, it is a fraud. In the event the news hasn’t reached you, in mid-August 2009, after repeated requests for the Climate Research Unit’s raw data from which it calculated global temperatures, the CRU at the University of East Anglia (UK), a key element of the UN’s IPCC, announced that it had discarded the data, thereby making it impossible to determine if their assertions of rising global temperatures were accurate and true. Or not. In October 2009, in the annual meeting of the Geological Society of America, it was demonstrated that the IPCC’s tree ring data from Russia that showed a cooling after 1961 had been disguised in its report (AR4) that, of course, asserted the Earth was warming. A month later, just prior to a huge, international Conference on Climate Change in Copenhagen, emails from the CRU were leaked, revealing the lengths to which the CRU staff had gone to discredit and suppress any independent studies that disputed the global warming thesis. 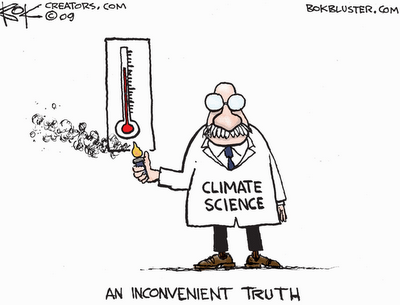 In brief, the entire “scientific” basis on which the IPCC “scientists” and global warming advocates like Al Gore made their claims was a fraud. It rendered AR4 “scientifically questionable” in the polite parlance of the worldwide scientific community. 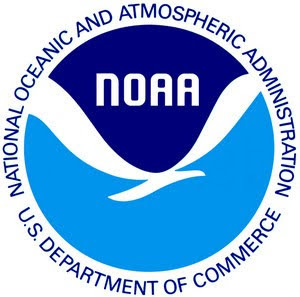 In January, Joe D’Aleo and E. Michael Smith released a detailed report that indicted the U.S. National Climatic Data Center and the National Aeronautics and Space Administration’s Goddard Institute of Space Studies for having eliminated many meteorological stations from their data bases in recent years and, to no one’s surprise, the stations were mostly in colder climate areas. Without their data, the “warmists” could continue to claim the Earth was in a warming cycle. None of this came as a surprise to the “deniers” and “skeptics”, many of them internationally renowned climatologists and meteorologists, who had attended the Heartland Institute’s two international conferences on climate change, participating in seminars and addressing attendees to provide the truth; the Earth has been in a cooling cycle since 1998, any prior warming was a normal and natural cycle following the Little Ice Age that ended around 1850, and the claims of the IPCC and other alleged science-based government agencies were utterly false. The sheer magnitude of the deception, directed and orchestrated from within a United Nations entity, given support by United States and British agencies, and further supported by multi-national groups such as the European Union, made it difficult for the average person to believe anything other than the elements of the hoax that were constantly proclaimed and then reinforced by the media and Hollywood. When the global warming dam burst, millions around the world would conclude what they had always suspected; there was no global warming and all the billions spent in the name of “reducing greenhouse gases” or “clean energy” was part of a massive fraud, a set-up to permit new forms of taxation and to enrich the participants. That is the case against multinational organizations such as the United Nations and the European Union, to name just two. They are, too often, giant propaganda machines whose agenda is to eliminate fundamental concepts of individual liberty and freedom, replacing them with faceless bureaucrats with no obligation to be responsive to citizens anywhere. A U.S. President, Barack Obama, who attended the UN Copenhagen Conference and would, in the course of his State of the Union speech, claim that there was “overwhelming evidence” of climate change a.k.a. global warming, is part of the cabal that would waste taxpayer’s billions on “green jobs”, “clean energy”, and “biofuels” as opposed to actually encouraging the building of nuclear and coal-fired plants, exploring and extracting offshore oil and natural gas reserves, and maintaining the nation’s vital infrastructure. A rogue government agency, the Environmental Protection Agency, is brazenly warning Congress that it will regulate carbon dioxide if it does not pass the patently false “Cap-and-Trade” legislation intended to limit so-called “greenhouse gases.” The EPA must be reined in and a complete housecleaning is necessary to repeal the many regulations and laws based on the global warming fraud. The U.S. needs a new Congress filled with men and women who want to protect the nation against the frauds perpetrated by its own science-related agencies, to kill legislation that would impose a massive tax on energy use, and bring the global warming advocates within the government to the bar of justice. The world needs to dissolve the United Nations in the same way it shunted aside the useless League of Nations. The present institution should be broken into units that perform legitimate services, but governance is not a legitimate purpose. No global taxes. No global army. No global propaganda machine. Nations, worldwide, need to reclaim their sovereignty and then work together for the mutual goal of peace and other worthwhile causes. It was presented as fact. The UN’s Intergovernmental Panel on Climate Change, led by India’s very own RK Pachauri, even announced a consensus on it. The world was heating up and humans were to blame. A pack of lies, it turns out. If I had a world of my own, everything would be nonsense. Nothing would be what it is, because everything would be what it isn’t. And contrarywise, what is, it wouldn’t be. And what it wouldn’t be, it would. You see? —Alice in Wonderland The climate change fraud that is now unravelling is unprecedented in its deceit, unmatched in scope—and for the liberal elite, akin to 9 on the Richter scale. Never have so few fooled so many for so long, ever. The entire world was being asked to change the way it lives on the basis of pure hyperbole. Propriety, probity and transparency were routinely sacrificed. The truth is: the world is not heating up in any significant way. Neither are the Himalayan glaciers going to melt as claimed by 2035. Nor is there any link at all between natural disasters such as Hurricane Katrina and global warming. All that was pure nonsense, or if you like, ‘no-science’! The climate change mafia, led by Dr Rajendra K Pachauri, chairperson of the Intergovernmental Panel on Climate Change (IPCC), almost pulled off the heist of the century through fraudulent data and suppression of procedure. All the while, they were cornering millions of dollars in research grants that heaped one convenient untruth upon another. And as if the money wasn’t enough, the Nobel Committee decided they should have the coveted Peace Prize. But let’s begin at the beginning. Mr Pachauri has no training whatsoever in climate science. This was known all the time, yet he heads the pontification panel which proliferates the new gospel of a hotter world. How come? Why did the United Nations not choose someone who was competent? After all, this man is presumably incapable of differentiating between ocean sediments and coral terrestrial deposits, nor can he go about analysing tree ring records and so on. That’s not jargon; these are essential elements of a syllabus in any basic course on climatology. You cannot blame him. His degree and training is in railroad engineering. You read it right. This man was educated to make railroads from point A to point B. There are many casualties in this sad story of greed and hubris. The big victim is the scientific method. This was pointed out in great detail by John P Costella of the Virginia-based Science and Public Policy Institute. Science is based on three fundamental pillars. The first is fallibility. The fact that you can be wrong, and if so proven by experimental input, any hypothesis can be—indeed, must be—corrected. This was systematically stymied as early as 2004 by the scientific in-charge of the University of East Anglia’s Climate Change Unit. This university was at the epicentre of the ‘research’ on global warming. It is here that Professor Phil Jones kept inconvenient details that contradicted climate change claims out of reports. The second pillar of science is that by its very nature, science is impersonal. There is no ‘us’, there is no ‘them’. There is only the quest. However, in the entire murky non-scientific global warming episode, if anyone was a sceptic he was labelled as one of ‘them’. At the very apex, before his humiliating retraction, Pachauri had dismissed a report by Indian scientists on glaciers as “voodoo science”. The third pillar of science is peer group assessment. This allows for validation of your thesis by fellow scientists and is usually done in confidence. However, the entire process was set aside by the IPCC while preparing the report. Thus, it has zero scientific value. The fact that there was dissent within the climate science teams, that some people objected to the very basis of the grand claims of global warming, did not come out through the due process. It came to light when emails at the Climate Research Centre at East Anglia were hacked in November 2009. It is from the hacked conversations that a pattern of conspiracy and deceit emerge. It is a peek into the world of global warming scaremongering—amplify the impact of CO2, stick to dramatic timelines on destruction of forests, and never ask for a referral or raise a contrary point. You were either a believer in a hotter world or not welcome in this ‘scientific fold’. This chart, tracking mean global temperature over the past 150 years, was central to the presentation that IPCC Chairman Rajendra K. Pachauri made at the Copenhagen environment summit. Many scientists believe that the graph is fraudulent. First, there are strong allegations that the data, collected from the Climate Research Unit at the University of East Anglia, is a tissue of lies. Plus, as British climate change expert Lord Christopher Monckton puts it: “(The main graph, in darker blue) is overlain by four separate lines, each carefully selected to give the entirely false im•pression that the rate of warming over the past 150 years has itself been accelerating, especially between 1975 and 1998. The truth, however… is that from 1860 to 1880 and again from 1910 to 1940, the warming rate was exactly the same as the warming rate from 1975 to 1998.” In other words, the graph has been drawn with a motive to prove one’s point, and not to show the truth. Thus the earth has warmed at this rate at least twice in the last 100 years and no major catastrophe has occurred. What is more, the earth has cooled after that warming. Why is the IPCC not willing to explore this startling point? Another total lie has been that the Sunderbans in Bangladesh are sinking on account of the rise in sea level. The IPCC claimed that one-fifth of Bangladesh will be under water by 2050. Well, it turns out this is an absurd, unscientific and outrageous claim. According to scientists at the Centre for Environmental and Geographical Information Services (Cegis) in Dhaka, its surface area appears to be growing by 20 sq km annually. Cegis has based its results on more than 30 years of satellite imagery. IPCC has not retracted this claim. As far as they are concerned, Bangladesh is a goner by 2050, submerged forever in the Bay of Bengal. Considered the climate Bible by governments around the world, the UN’s Intergovernmental Panel on Climate Change (IPCC) report is meant to be a scientific analysis of the most authoritative research. Instead, it references literature generated by Greenpeace – an organization known more for headline-grabbing publicity stunts than sober-minded analysis. (Eight IPCC-cited Greenpeace publications are listed at the bottom of this post.) In one section of this Nobel-winning report, climate change is linked to coral reef degradation. The sole source for this claim? A Greenpeace report titled “Pacific in Peril” (see Hoegh-Guldberg below). Here the report relies on a Greenpeace document to establish the lower-end of an estimate involving solar power plants (Aringhoff). When discussing solar energy elsewhere, the report references two Greenpeace documents in one sentence. Here it uses a Greenpeace paper as its sole means of documenting where the “main wind-energy investments” are located globally (Wind). Posted on January 30, 2010 January 20, 2018 Tags Climategate, IPCC, NewsLeave a comment on Next up: Greenpeacegate! …It has, however, recently come to our attention that a paragraph in the 938 page Working Group II contribution to the underlying assessment refers to poorly substantiated estimates of rate of recession and date for the disappearance of Himalayan glaciers. In drafting the paragraph in question, the clear and well-established standards of evidence, required by the IPCC procedures, were not applied properly. The Chair, Vice-Chairs, and Co-chairs of the IPCC regret the poor application of well-established IPCC procedures in this instance. This episode demonstrates that the quality of the assessment depends on absolute adherence to the IPCC standards, including thorough review of “the quality and validity of each source before incorporating results from the source into an IPCC Report”. We reaffirm our strong commitment to ensuring this level of performance. Carefully followed procedures? Let’s review: (a) The IPCC relied on an unpublished, non-peer reviewed source to produce its top line conclusions in this section, (b) when at least two reviewers complained about this section, the IPCC ignored their complaints and invented a response characterizing my views. (c) When the paper that this section relied on was eventually published it explicitly stated that it could not find a connection between rising temperatures and the costs of disasters. This press release from the IPCC would have been a fine opportunity to set the scientific and procedural record straight and admit to what are obvious and major errors in content and process. Instead, it has decided to defend the indefensible, which any observer can easily see through. Of course there is no recourse here as the IPCC is unaccountable and there is no formal way to address errors in its report or its errors and misdirection via press release. Not a good showing by the IPCC. I get the sense that I’m not the only one who would like to deal a mortal blow to the misuse of supposed warm period terms and myths in the literature. The sceptics and uninformed love to cite these periods as natural analogs for current warming too – pure rubbish. So, pls DO try hard to follow up on my advice provided in previous email. No need to go into details on any but the MWP, but good to mention the others in the same dismissive effort. In their 2007 report, IPCC working group 1 refers to an increased heterogeneity of climate during medieval times about 1000 years ago. This conclusion would be of relevance, as it implies a contrast in the spatial signature and forcing of current warmth to that during the Medieval Warm Period. Our analysis of the data displayed in the IPCC report, however, shows no indication of an increased spread between long-term proxy records. We emphasize the relevance of sample replication issues, and argue that an estimation of long-term spatial homogeneity changes is premature based on the smattering of data currently available.